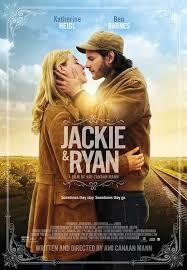 Review: Ryan is a homeless busker in Utah and strikes up a relationship with Jackie who is a former singer undergoing a divorce. This film is also known as Love Me Like You Do. Not a very expensive film to make and not really much of a plot to this. I felt that the characters were all very undeveloped. Very long for what it needed to be. I would not be surprised if Nicholas Sparks wrote the book/screenplay for this. It could be one of his films. Katherine Heigl did her best to bring some life into this film which is full of cliches and lacks any decent plot structure.